Each of these industrial weighing instruments consists of a flat platform on which the items to be weighed are placed. Floor scales and truck scales are examples of heavy duty platform scales. These weigh scales are low-profile, allowing inventory, livestock and even vehicles easy access to the platform. 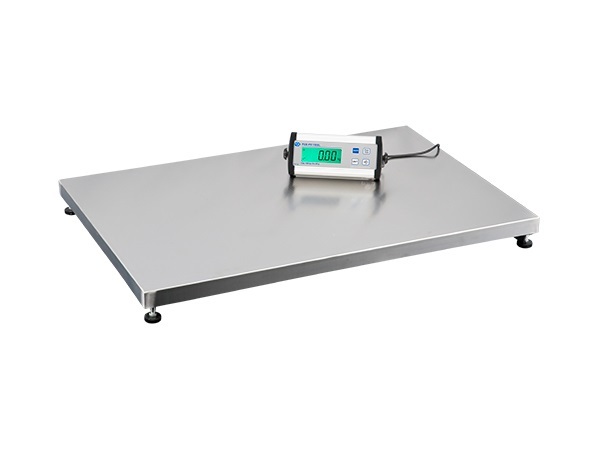 Often the scale is built into the floor for these large models, while smaller bench scales and balance scales offer more portable light-duty platform scales as they can be mounted to counters, benches or tables. These scales are more common in food, chemical, medical and retail industries, whereas floor scales are common in manufacturing, shipping, transport and marine industries. For large and small applications, durable and long lasting materials such as steel, concrete, stainless steel, cast iron and aluminum are utilized in the construction of these rugged and industrial scales. The platform itself is composed of sheet metal attached to a welded frame and often features a tread plate or other textured finish to improve traction for both personnel and the objects to be weighed. Additional options such as size, maximum weight capacity, mounting and material should all be carefully considered with regards to the specific application for which the platform scale will be used. 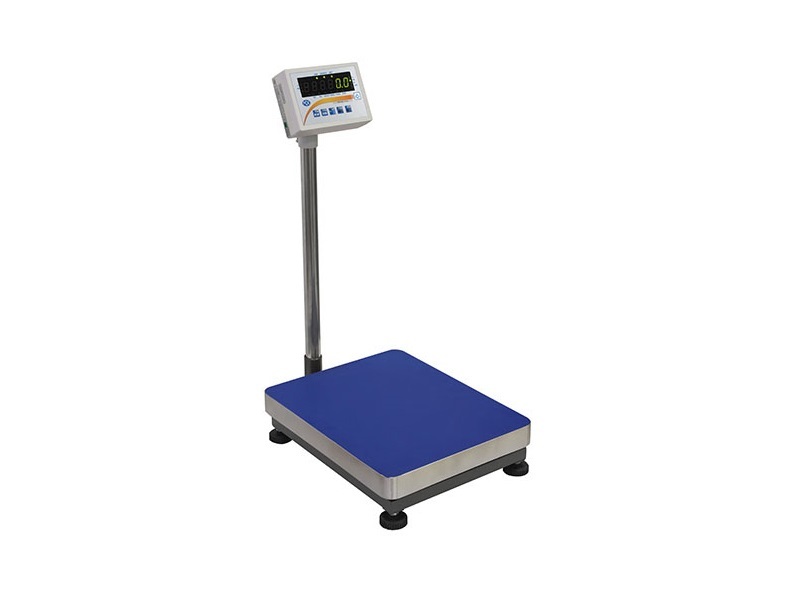 There are several weighing instruments associated with platform scales. The platform itself serves only to support the load, but attached paraphernalia is responsible for measuring its weight. Balance scales have two identical plates attached to either end of a beam that rests on a central pivot point. The object of unknown weight is placed on one plate and calibrated weights are placed on the opposite until equilibrium is reached. These dual platform scales are used predominantly for small measurements and in laboratory or research-based industries. The spring scale uses specified and calibrated metal coils below the platform to calculate weight. These springs have known consistent resistance. A change in the degree of compression therefore corresponds to a particular weight. Springs are also used in other types of platform scales to provide shock absorption during loading. Hydraulics may be used for similar purposes and measure weight in a similar fashion, but rather than known spring compression, it is the known displacement of fluids that correlates to specific weights. Electronic scales are popular as they can calculate both the net and gross weights of a particular load. In these scales the degree of deformation of a conductive coil or foil located beneath the platform creates electrical signals that display the weight on a digital panel. Platform Scales Platform scales are weighing devices that use one or more plates to calculate the static and dynamic load of objects or substances in a number of industrial, commercial and consumer applications.